The wait is finally over, the NFL is back! Sure, it’s only preseason, but it’s the light at the end of the tunnel for us that live for the National Football League. Of course what most of us are just as excited for is the prospect of betting on football, but don’t be too hasty dismissing wagering on preseason football. Here are a few things to keep in mind to pad your online sports betting account heading into opening night. There’s nothing worse than a premature ending, and this definitely applies to your sports betting budget. A lot of the safer sportsbooks will reduce limits for NFL preseason games, and you should follow suit by reducing your wager amount. Use only a percentage of your budget that you are comfortable losing, that won’t put you in a major hole to start the regular season if you do lose it all. If you bet an average of 2 or 3% of your budget per play, drop it to 1%, and if you don’t have full confidence, a wager of 0.5% is not out of the question. I’ll get into it more below, but it’s best approaching preseason betting the same way NFL teams do, with most teams still working out the bugs through all 4 preseason weeks until they have to trim the rosters to 53. Professional handicappers are licking their chops waiting for preseason lines to be released, with some pros believing betting that the NFL preseason offers the most value of any betting. Sharp bettors will take advantage because they KNOW where to find the information you NEED to know. Football is won or lost on the line, no matter if it’s the Super Bowl or the Hall of Fame Game. No matter who is under center, offensive line play will determine the outcome of a lot of plays. On the other side of the ball, will the defensive line play the entire first half? These are things you need to find out. Does one team have a lot more questions on who will be on the 53-man roster? Are all the starters set in stone? If not, you’re going to see max effort from a guy who is fighting for either a starting position or otherwise. Twitter offers enough information to keep you busy all season, but knowing what info is key. Some coaches want to win, no matter the importance of the game. I love that approach, I mean who wants to be a loser? Instill a winning philosophy from day 1. Did you know Mike Zimmer, coach of the Vikings, is 14-3 in preseason games as a head coach? Or that Pete Carroll is 34-14-1 against the spread in the preseason? In the past 2 years the Cleveland Browns have gone 1-31, but sandwiched between those two terrible seasons, the Browns won all four of their preseason games. Coaches that have something to prove will always search out the W.
During the regular season, coaches lock up game plans tighter than Fort Knox. They will answer press conference questions with the minimal amount of information. The same cannot be said for preseason. Coaches will most times reveal who is playing and for how long, with info whether or not a star player will be suiting up. 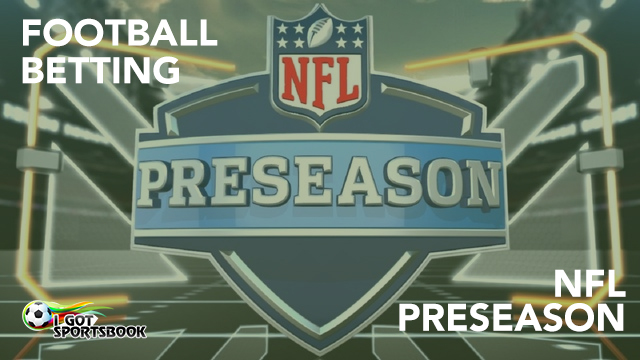 All this info is vital to turning a profit betting on the NFL preseason. By using this guide to help you handicap NFL preseason games, you are sure to get on your way to smarter wagers. Remember that injuries and holdouts can also be a big part of the equation, so make sure you are being the smartest bettor you can be. Good luck.